Every child needs a place, where he/she can uncover his/her skills and abilities. We are trying to create such an environment in the kindergarten “Mary Poppins” (founded in 2008). We employ high-qualified teachers here – with great experience, creative skills, who love chlidren very much. Working activity of our pedagogues is directed towards comprehensive development of the children and their emotional well-being. Only being really fond of one’s job, one can provide children with so much care and love. The kindergarten “Mary Poppins” employs just this kind of pedagogues and educators. Every child here is provided an individual approach: this is considered to be the basis of our kindergarten. Children in our kindergarten are treated personally – with great love, care and individual approach. All the trainings are held here by taking into account the psychological and age peculiarities of the child. The building, where the children are staying, is secure, comfortable and modern. The menu is made up appropriate to state regulations. The dishes are made from fresh and qualified food. All the dishes are being prepared immediately before eating – inside our kitchen. We are also ready to provide you with customized menu if necessary. Children are constantly under the supervision of a nurse. There are carried out different development and educational methods with the children. Our trainings are aimed at comprehensive development of the children. 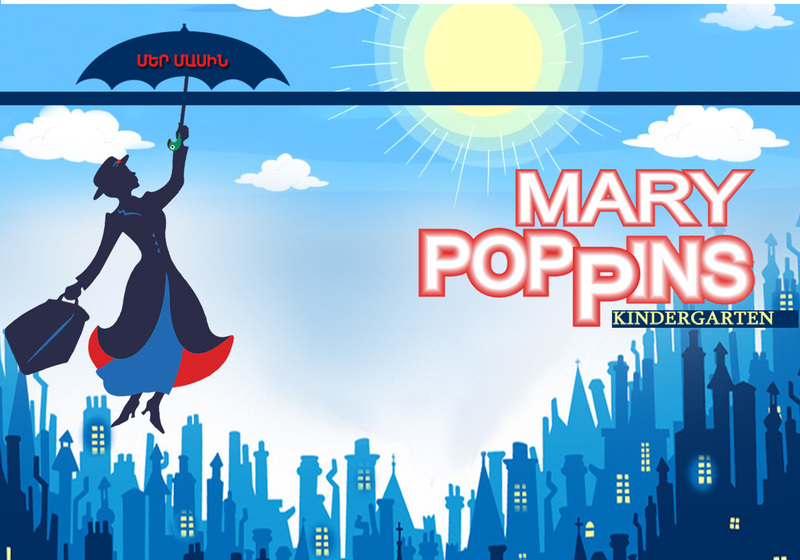 Graduates of the kindergarten “Mary Poppins” have much knowledge about the world and are completely ready for school.